In January 2015, the Canadian Government is coming up with its new Express Entry Program which unfolds several benefits to all those talented people who wish to make their way into the nation. As the name says it all, ‘Express’ means speedy entry even as it will prove beneficial to all those talented people who cannot make their way through the Skilled Migrant Program. The vital information which an aspiring migrant should know about Canada Express Entry Migrant Program 2015 is that it doesn’t have occupation list. The entrance depends upon the individual skill, which will enhance his way into the Maple Leaf Country. Canada immigration-motivated aspirant has to apply online—complete with his necessary documents showing his age, educational qualifications, work experience, and language ability–stating his interest to migrate. Depending on this information, his application will be entered into the pool. After this, the interested Canadian employer may call the candidate to apply for PR within 6 months time. After an aspirant applies through Express Entry his petition is ranked as per the information supplied by him. His work experience and educational qualifications will decide the chances of his success in Canada. The applicant–who doesn’t have a job offer–can register through a Canada job bank. After assessment of the profiles, the short-listed candidates will get entry into the pool and become eligible for the Express Entry. Lucky applicants, who manage to gain entry through job bank, will be asked to apply for the Permanent Residency (PR) of the nation within 60 days. Successful applicants will then file a petition for PR through the Federal Skilled Worker Program (FSWP) or through the Provincial Nomination Program (PNP) with the necessity to meet the norms of the program thus applied. The complete process will be online for applying for the PR of Canada. Canada Express Entry Program 2015 stands eligible for all the applicants. There is not any restrictions of the entitled skill. An aspirant can submit an application on the basis of his talents regardless of his profession or industry. This fast-track entry into the nation is not time bound. Interested applicants can apply any time, without the fear of limited seats. Apart from these benefits, the migrant enjoys the freedom of disclosing his true skills, which according to him, suits his application. Based on these, he gains a rank in the pool. This express gateway is totally based upon the candidate’s inherent quality irrespective of first-come-first-served base. This will help the Canadian employer to choose the best professionals. Needless to say, the nation, apart from the applicant, will gain much from Canada Express Entry Program 2015 as only the creamy layer will be selected along with all those skilled people who are very much in demand in the nation. What exactly is Canada Fresh National Occupational Classification 2014? 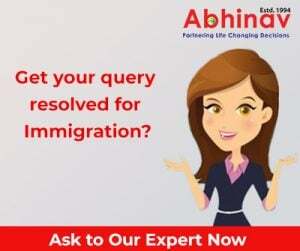 Get Hold of Services for Immigration to Canada from India!